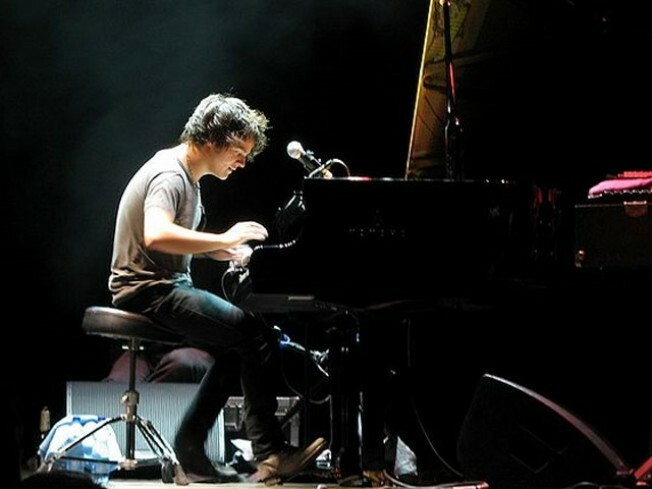 Jamie Cullum tickles the ivories at the Town Hall tonight. EASY LISTENING: Jamie Cullum brings his particular niche – sort of Michael Bublé meets Jason Mraz, with a dash of Sondre Lerche when he’s really on – to Town Hall in support of his fifth studio album, “The Pursuit.” Boogie-woogie vixen Imelda May, fresh off last night’s solo gig at Southpaw, opens at the Town Hall.7PM. EAT, PRAY, EAT AGAIN: Get a crash course in preparing chaat, the most popular street foods of India, from At Vermilion’s exec chef Maneet Chauhan. Also, eat a lot: There’ll be dishes in the resto’s fusiony Latin American/Indian vein, like Puerto Rican boar jibarito and Colombian duck vindaloo arepas. Also: Cocktail pairings! 6:30PM. GRACE UNDER PRESSURE: It’s a veritable Tibetan hoedown at the Cathedral Church of St. John the Divine, as performsers gather to pay tribute to the endurance of Tibet’s culture through half a century of exile. On the bill: Laurie Anderson, “The Sopranos”’ Michael Imperioli, Bobby McFerrin, Nobel Peace Laureates Jody Williams and Shirin Ebadi, and even Philip Glass in a special performance inspired by Martin Scorcese’s film “Kundun.” Thank You Tibet starts at 7PM.